The state has started campaigns to provide information on the National Food Security Act, days after the Gorkha Janmukti Morcha said it had a "hidden agenda" behind including hill residents in the Antodaya Anna Yojana meant for the poorest among the Below Poverty Line people. Today, the district administration held awareness campaigns at St Joseph's College (North Point), Darjeeling Government College and Southfield College, along with Chowrasta and Motor Stand, to "dispel wrong information" and highlight the provisions of the National Food Security Act. Sources in the administration said similar programmes would be held in Kursoeng and Kalimpong subdivision but added that no such campaigns had been planned for Siliguri subdivision "as of now". A senior administrative official said: "We are trying to disseminate correct information and dispel wrong information that is being circulated. Apart from disseminating information on the Food Security Act, we are also trying to educate people about the ban on smoking in public places." Explaining the need to start campaigns only in the hills, the official said: "In the hills, the PDS (public distribution system) has been different. While the pan-Bengal campaign in different media is expected to cover Siliguri subdivision, we thought it was necessary to go to the hill people directly and inform them about the details of the Food Security Act. If the need arises, such a campaign will also be undertaken in Siliguri subdivision." The Morcha had accused the state of trying to prove that the hill people were landless to allegedly "dilute" the statehood demand and assigned the party's Study Forum with the task of "finding out the real motives" of the government in implementing AAY in the hills. Later, the forum had said the "hidden agenda" of the state to include the population of the region under the AAY was to cut down on the foodgrain that the ruling Trinamul had promised before the Assembly elections. Under the AAY, a family is entitled to 35kg of foodgrain (15kg of rice and 20kg of fortified atta) at Rs 2 per kg a month. The Morcha had claimed that state had announced 11kg of foodgrain per person per month before the Assembly polls, of which 6kg was to come from the state government. D.K. Pradhan, a Study Forum member, had alleged that the state was not willing to bear the additional expenditure of the 4kg rice and 2kg atta, and therefore decided to bring the entire hill population under the AAY so that the supply came from the Centre. Pradhan had said a notification issued by the directorate of district distribution, procurement & supply, food supplies department on January 22, 2016, said the hill population would be allotted 6 kg of rice and 5 kg of fortified atta per head per month at Rs 2 a kg. 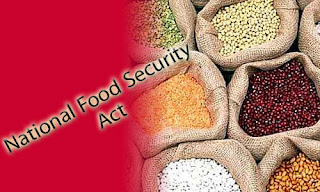 According to Pradhan, the 11kg foodgrains were to be drawn under the Centre's National Food Security Act and the special scheme of the state government. He said: "A family of four and above will now get less. According a special package announced just before the state assembly elections, a hill family of five is entitled to 55 kg of foodgrains. The hidden agenda behind getting the hill population under the AAY is to ensure that the state does not have to bear the additional cost as then they are having to pay for 6 kg of foodgrains per family per month." The Morcha central committee member said it was fine for the hill party if the state provided 35kg of foodgrains to a family under the AAY and the remaining 6kg per head per month. The AAY has become a much talked about issue in the hills after Bhupendra Pradhan, popular as Pradip Pradhan, while joining Trinamul in Kurseong on Sunday, criticised the Morcha for trying to oppose the scheme.